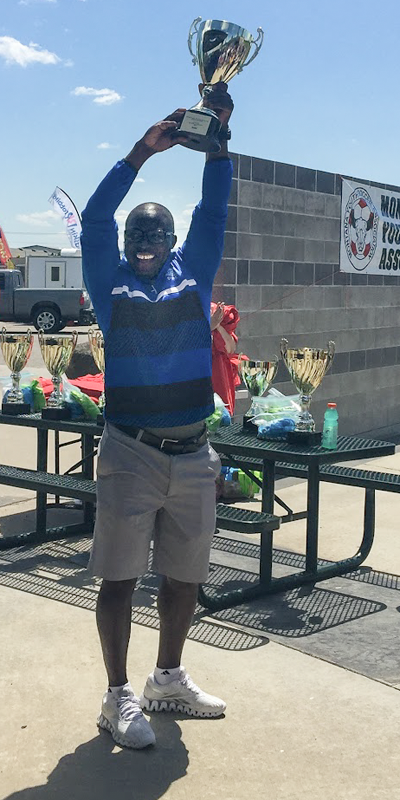 1999 U18 Arsenal Boys team coached by Charly Ayidomihou, won the MYSA Montana State Cup this weekend in Billings. The team outscored their opponents by more than 2 to 1 in their five games on route to the championship title. 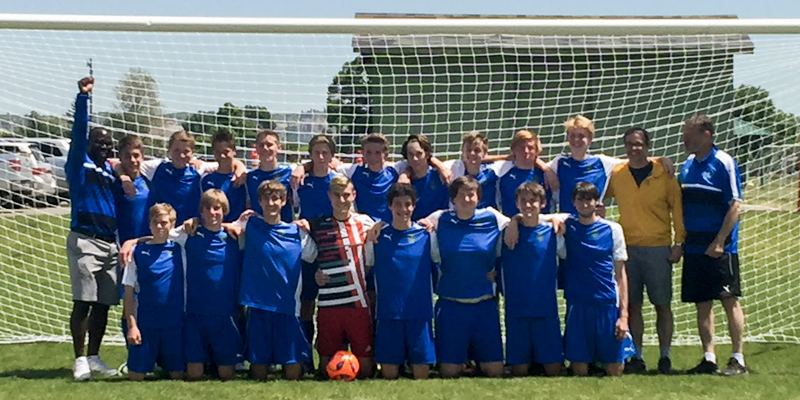 In group play, goals were scored by Aidan Adamek(1), Jackson Keller(10) and Jacob Ries-Roncalli(2). The Helena defense, led by Cameron Wilcox and Gavin Carlson, allowed very few shots on target. In addition to Wilcox and Carlson, the defense was comprised of Troy Bawden, Cody Brown, Ryan Quinn, Christian Swingley and Dawson Tedesco. Helena was also able to control speed of play by a powerful midfield presence led by Harrison Dengel and Jacob Ries-Roncalli. Completing the midfield unit were Aidan Adamek, Connor Bartleson, Caleb Hoxie, Colin McLean, Ben Ries-Roncalli and Luke Schmitz. Carrying the load up top were strikers Thomas Hampton, Jackson Keller and Max Mulder. Gabe Studt, as always, provided leadership and exceptional play in the goal. The championship game was a hard fought battle against Great Falls Rush. The Rush team scored first even though Helena was controlling possession. Arsenal continued working and Harrison Dengel was able to bury a shot in the lower left corner of the goal to tie the game before half time. The game remained tied for most of the second half. With only 8 minutes remaining in regulation, Aidan Adamek hit a high shot that skimmed off the goalkeepers gloves and into the top of the net. The 2-1 score would stand sending the Arsenal team back to Helena with the Champions Cup. 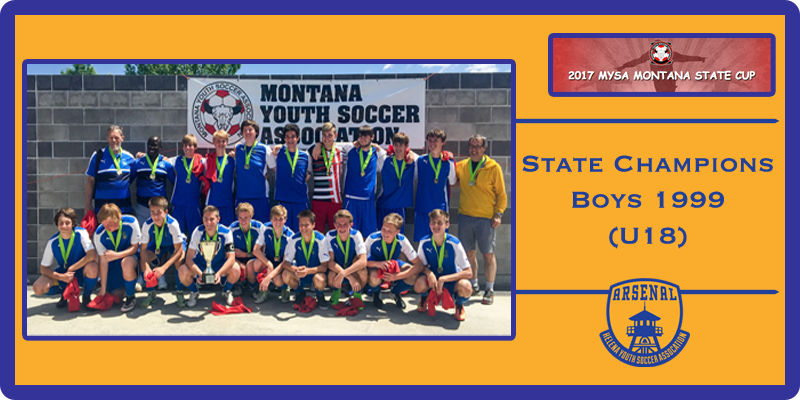 The Arsenal team will finish up their season June 9-11 at the Intermountain Champions Cup in Missoula.